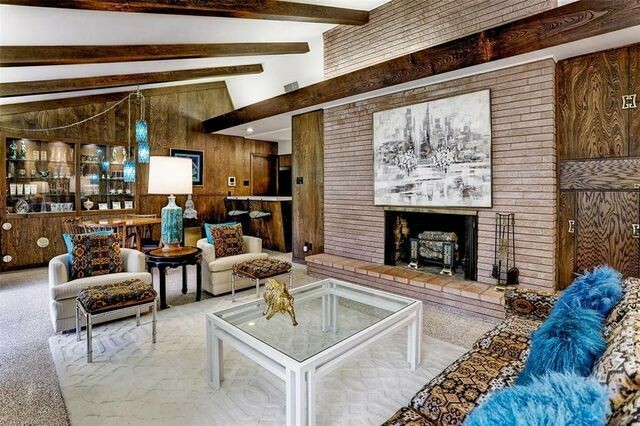 Palm Springs, CA, isn’t the only place in the country for buyers to score an authentic midcentury modern pad. 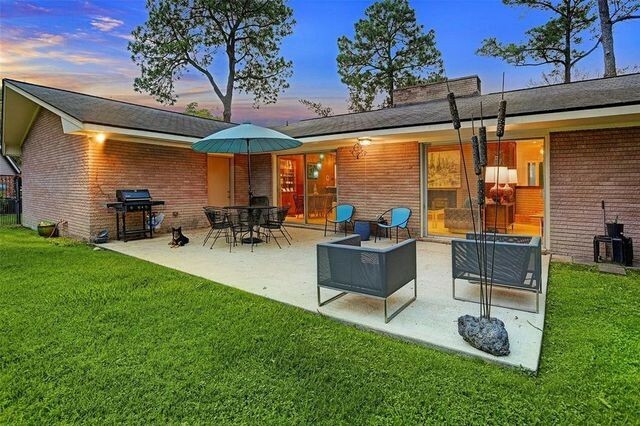 There’s a cool historic district in Houston where an iconic, atomic-era home recently landed on the market for $359,900. Known as the”sputnik house,” the property is currently under contract after less than two weeks on the market. It was sold “at a premium for the neighborhood,” according to listing agent Robert Searcy. The median listing price in the historic Glenbrook area is $183,000. However, the sputnik house is something special. It recently graced the cover of Houstonia Magazine, for an article on the 10 hottest neighborhoods in Houston. And it’s a standout house in a standout neighborhood. “The Glenbrook Valley is the largest, locally designated post-WWII historic district in Houston,” says Searcy. The neighborhood is also one of the last of its kind. Hurricane Harvey and subsequent storms took a toll on many of Houston’s historic midcentury modern neighborhoods, Searcy explains. Glenbrook is one of the few neighborhoods to have weathered the storms. Custom-built in 1957, the house has had only three owners, all of them careful to preserve its architectural integrity. Prominent among the well-preserved original features are the “sputnik” light on the front porch, and the front door with center doorknob and the brass chinoiserie plate behind it. 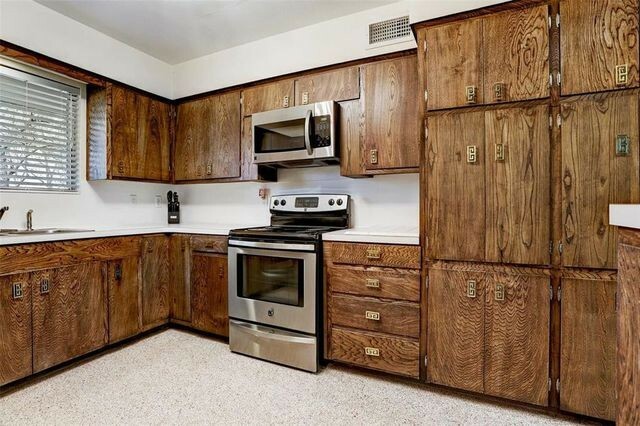 In the kitchen, the drawer and cabinet hardware feature Asian accents, which were popular at the time of the home’s construction. 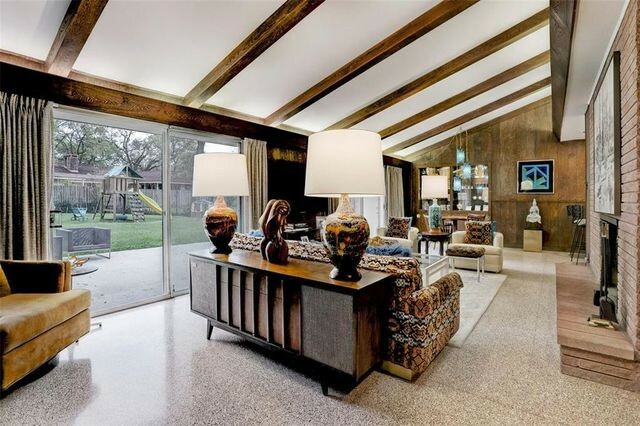 Original birch accent walls, vault and beam ceilings, and terrazzo flooring also remain in this classic abode. 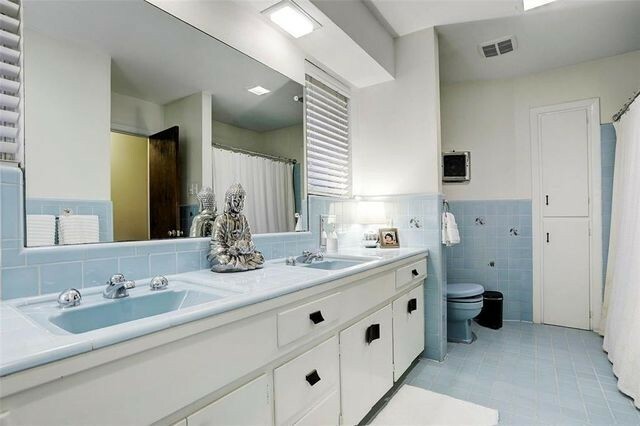 The pastel-colored bathrooms still have their original tile and cabinetry. 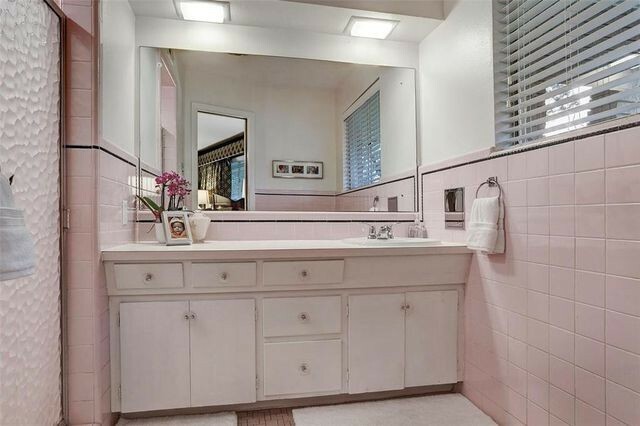 “Viva la pink bathroom!” says Searcy. Much of the cabinetry throughout the house is original, as are the unpainted brick walls and quite a bit of the lighting. 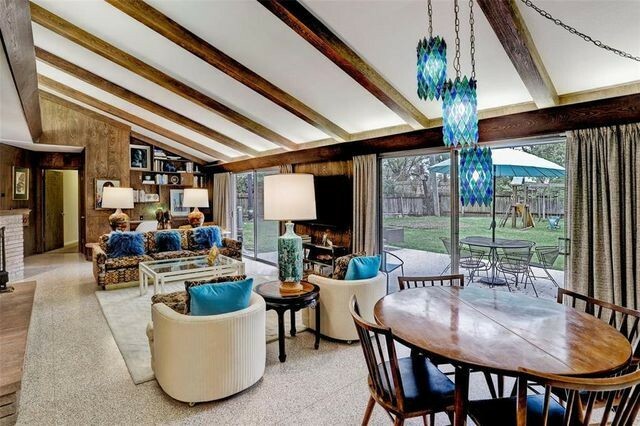 That remarkable cut-glass, blue light fixture over the dining table? Yep, that’s original too. 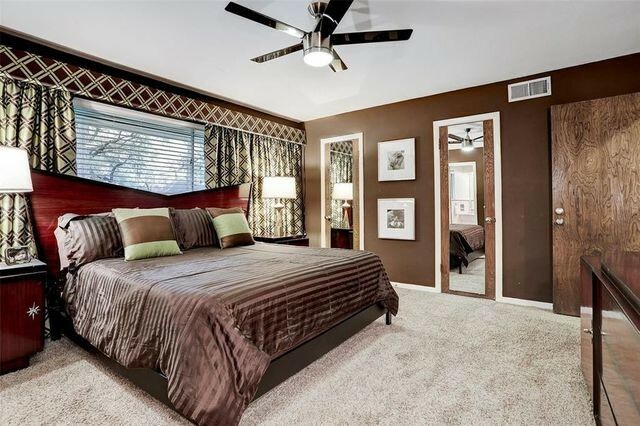 Average in size for the neighborhood, the house measures 2,334 square feet and has three bedrooms and 2.5 baths. Searcy says Houston has its share of preservation-minded buyers, and they’re willing to pay extra for rare gems. 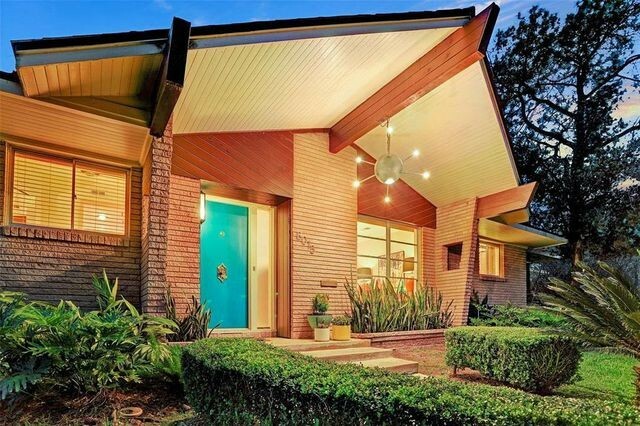 The sputnik house’s final sale price isn’t available yet, but the 2019 list price is a quantum leap from its 2012 list price of $192,500.